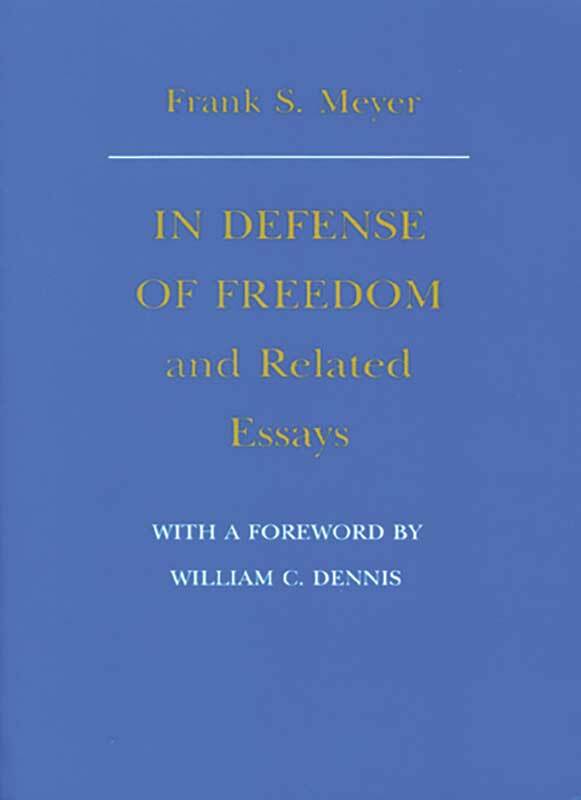 When it first appeared in 1962, In Defense of Freedom was hailed by Richard M. Weaver as “a brilliant defense of the primacy of the person” and an effective “indictment of statism and bureaucratism.” Meyer examines the tension between the freedom of the person and the power of social institutions. In his view, both the dominant Liberalism and the “New Conservatism” of the American tradition place undue emphasis on the claims of social order at the expense of the individual person and liberty. Frank S. Meyer (1909–1972) was a senior editor of National Review. William C. Dennis is a Senior Fellow, Atlas Economic Research Foundation, and a consultant in philanthropy.